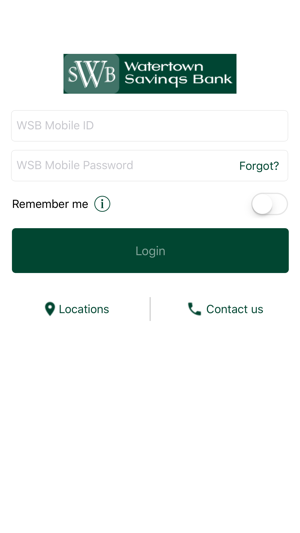 Watertown Savings Bank Mobile Banking allows you to bank anywhere you would like. You can check balances, transaction history, pay bills, transfer money, deposit checks, find branch and ATM locations, receive text alerts and conduct bank to bank transfers on your accounts. 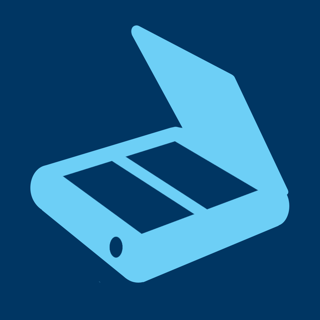 Mobile banking from Watertown Savings Bank is a FREE service, Connectivity and usage charges may apply. Please contact your wireless provider for more information. 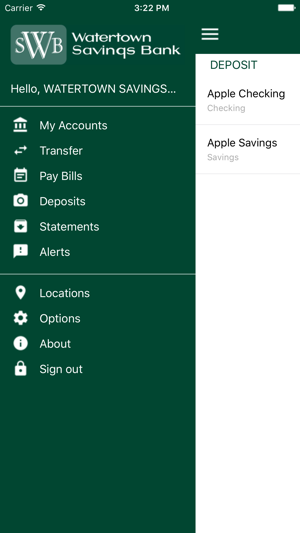 You must first log into your online banking account from a personal computer (PC) and click on the Mobile Banking tab to setup access through the Mobile App. Please visit www.watertownsavingsbank.com for more information. I keep on setting it up and it says it's not turned on Everytime I open the app. Otherwise, a good app. 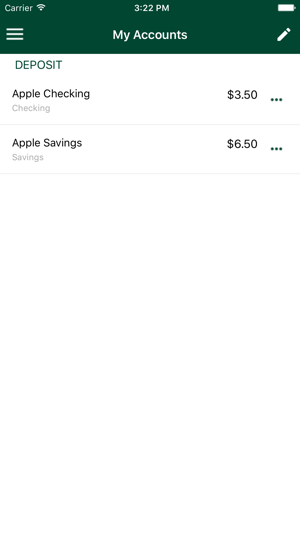 Good app - Great bank! App works well & I received lots of patient help at my local branch (Adams) getting it set up. Excellent bank with top notch service!